You may not realize, but the honorable commitment to each other in marriage is actually a tradition that originated in Egypt. Surprised, right? But it’s true. The first time a relationship was given a legal name was in ancient Egypt. Ancient Egyptians considered married as a sacred event in their lives. The rulers of ancient Egypt laid down several laws, rights and duties, one of the firsts being gender equality opportunities. The ancient Egyptians were the first to give the right to divorce to both husbands and wives. In fact, the universal wedding symbol, the perfectly round ring, also dates back to the ancient Egypt, when the circle of the ring represented a union without beginning, without end. Now that’s something beautiful. Therefore, you need to be well aware of the customs, traditions and religious events of the wedding if you are planning to get married to an Egyptian or planning a wedding in Egypt. Whether one belongs to a wealthy family or is of modest means, Egyptian weddings are exuberant affairs. The parties are resplendent with enough music, entertainment, and food, which create a splendid night. 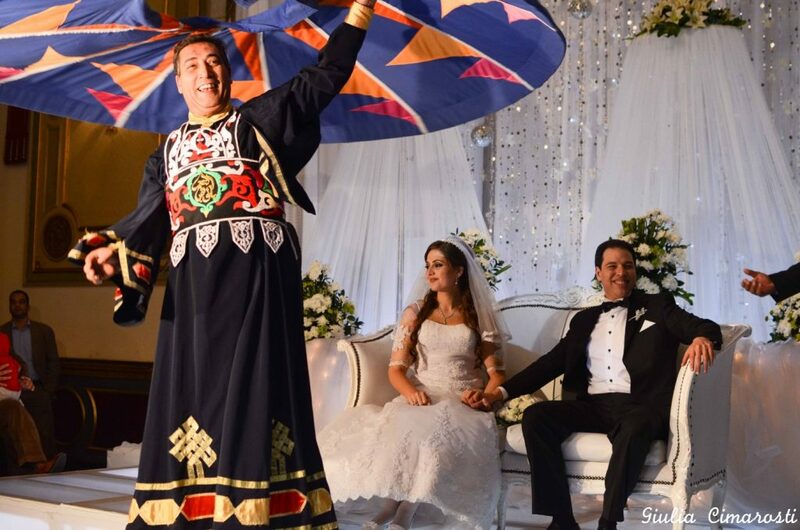 Read on to know more about the customs and traditions of an Egyptian wedding. As most of you must be aware, modern Egypt is an Islamic country. Therefore, marriage should be accepted not just by the bride and groom, but also by the families of the bride and groom. In case of love marriages, the boy visits the home of the girl to seek the family’s approval of the engagement. And in arranged marriages, the wedding is set up by the matchmakers or relatives. The engagement party is like a warm up party for the big day. Couples exchange rings, which they have to wear on the third finger of the left hand. Even after arranging the marriage, the bride and groom cannot meet in private. Laylat Al-Hinna or the Henna Party is one of the most important customs of the Egyptian wedding. Henna is considered auspicious in Islamic weddings. It’s believed to bring good luck to the bride. The bride and her friends and family gather on the evening before the wedding to apply henna on her hands and feet. The wedding ceremony of Egypt is highly influenced by the Arab and African traditions. Christian or Islamic weddings take place in mosques or churches. Modern people often opt for hotels for the weddings. In rural Islamic wedding, a colorful procession takes the bride to the groom’s house. Despite been hidden from the view of the commoners, the bride is the main attraction of the wedding. 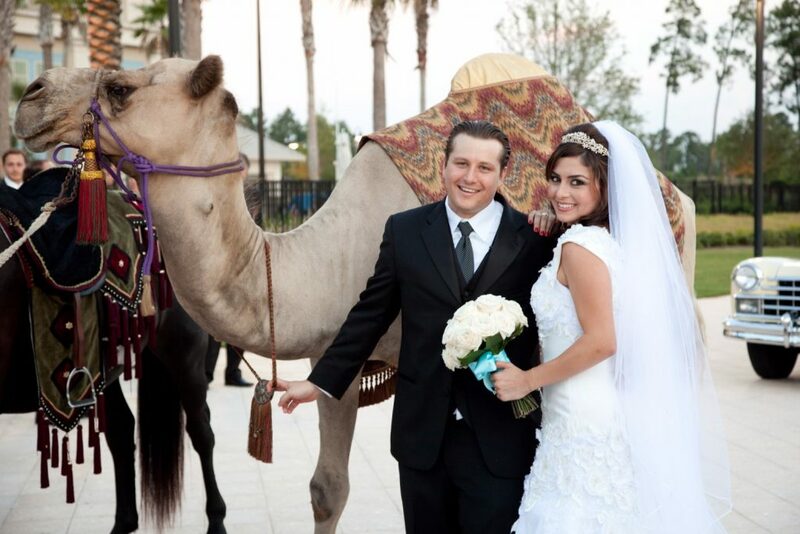 The bride rides on a camel swathed in a tent like covering, which is led by the groom family. In modern weddings, the beautifully decorated cars of both the families reach the venue, accompanied by a noisy parade. The wedding celebration is signaled by drinking Sherbet, a sweetened rose drink. Egypt may have become modern in term of decoration and venue, but the wedding customs remain the same. The most significant custom of the Egyptian wedding is the signing of the marriage contract, which is carried out by a Maazon, who further goes on to register and license the contract. The signing of the agreement has to be done at the venue of the wedding, if you are organizing a combined wedding and reception or at the bride’s home. In the document, the bride’s family has to declare whether the bride is getting married for the first time or has been married before. A false statement can lead to dire consequences. The document is signed not just by the bride and groom, but also the bride’s father and two witnesses. After signing the document, the bride and groom clasp their hands and press their thumbs together. The Maazon then covers their hands with a crisp, white handkerchief. After reviewing the documents and reading a verse from the Quran, the Maazon confirms the wedding. The handkerchief can be removed either by the Maazon or by a single man, to get blessings for his own wedding. Legally, the boy and girl are husband and wife, but they cannot stay together until their friends and relatives have attended the wedding party. The party can be hosted the next day, next month, or even next year. 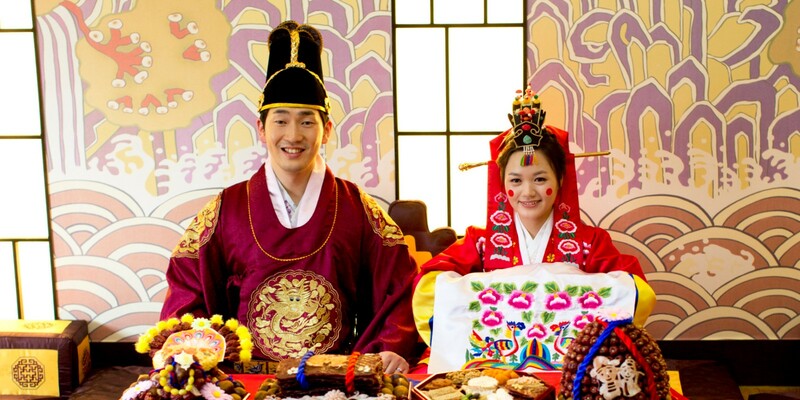 Urban weddings are influenced heavily by western traditions, like cake cutting ceremony, throwing the flower bouquet to the maidens and declaring about the buffet. 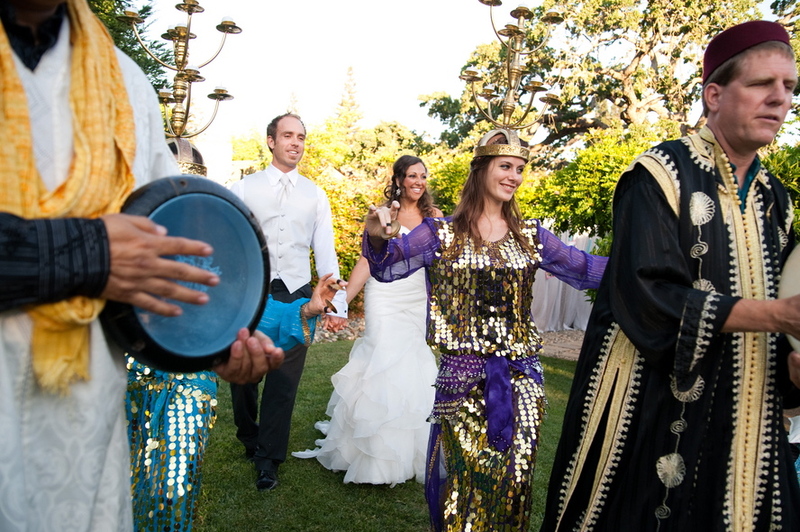 The traditional Egyptian singing and dancing are crucial to the event, no matter how modern you are in the preparation. The feasting is followed by singing and belly dancing, which go on until the next morning. Candelabra dance, which lights the way for the newly married couple is also celebrated. After the wedding party, the bride and groom leave the venue to spend the wedding night at the groom’s house or a bridal suite. If the couple is retiring to a bridal suite, they will be led by the wedding party, who toss wheat in the air, which is a symbol of fertility in Egypt. The wedding dresses have evolved greatly in the in the last few decades. 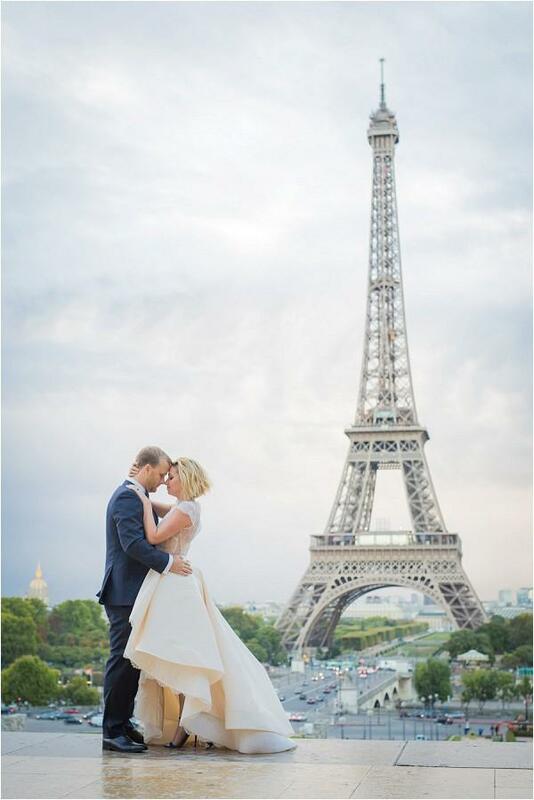 Modern brides pick the white bridal dress, and modern grooms prefer black suit or tuxedo. No matter what dress the bride wears, the veil is imperative as it is a symbol of modesty. Rural Egyptians would arrange a marriage between the first cousins only to keep the prestige, wealth, and prestige within the family groups. But this custom has declined significantly in the modern Egyptian society and for good. In an Egyptian wedding, female guests pinch the bride. This is believed to be a sign of good luck. A week preceding the wedding, the bride’s mother cooks all the meals for them, just to give her daughter plenty of time to relax. An ancient and disgusting tradition was that the wealthy Egyptian men believed that it was distasteful to consummate the marriage with the virgin brides. So they would hire a servant to deflower their brides. That’s all from us. If we missed out any of the important traditions, let us know by commenting below!